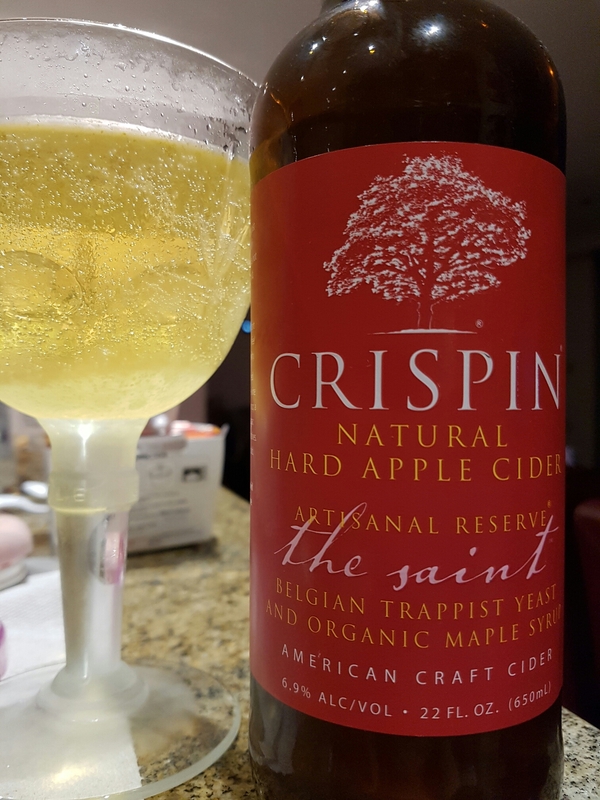 Crispin Artisanal Reserve The Saint – Crispin Cider Co. (Colfax, CA, USA) | Justintoxicated. 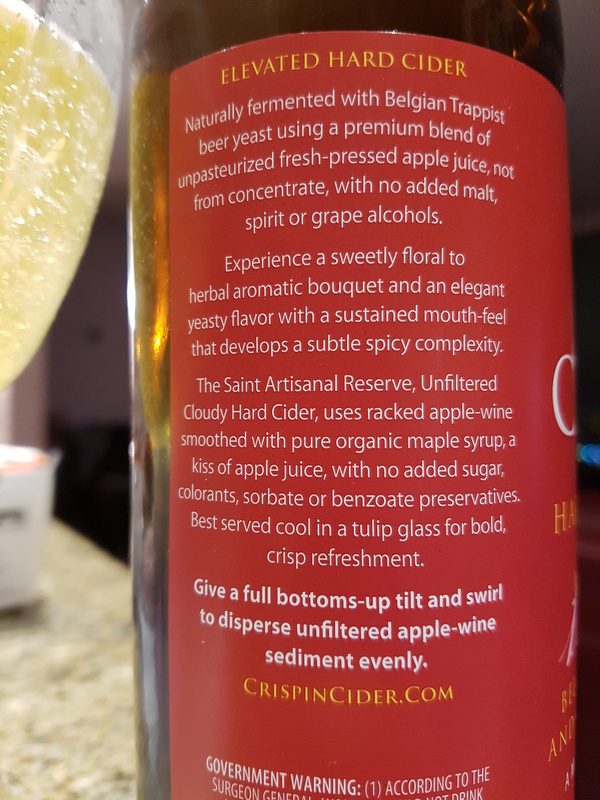 “Naturally fermented with Belgian Trappist beer yeast using a premium blend of unpasteurized fresh-pressed apple juice, not from concentrate, with no added malt, spirit or grape alcohols. Experience a sweetly floral to herbal aromatic bouquet and an elegant yeasty flavor with a sustained mouth-feel that develops a subtle spicy complexity. Visual: Pours slightly hazy yellow with large bubbles clinging to the side of the glass, no head, the same bubbles sporadically surfacing. Summary: An inviting big fruity apple flavour with a good amount of tangy-sour acidity and a hint of spice and maple syrup to round it out. Not exceptionally complex but enjoyable nonetheless. Solid.